Choosing the right headwear during chemotherapy seems pretty complicated at first. People give you all sorts of well-intentioned tips, but what actually works? What headwear is available? And above all, what should you consider when choosing a chemo scarf or hat? 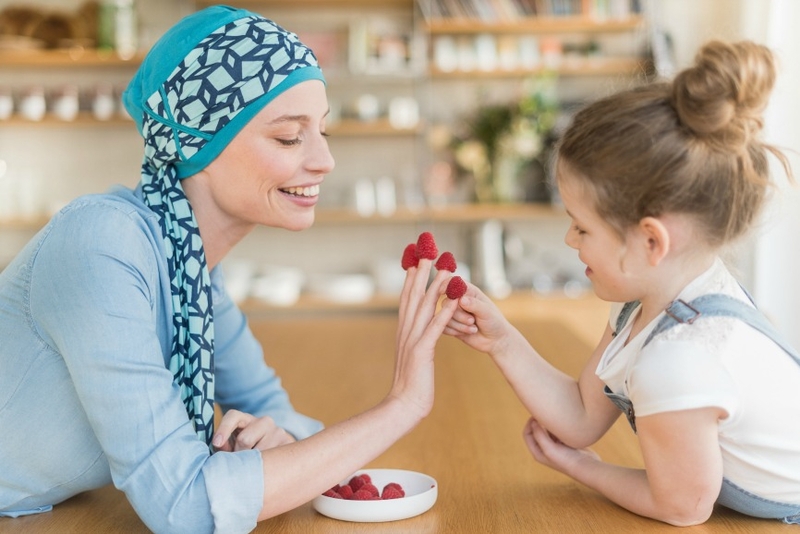 Many people start looking for headscarves before their chemotherapy starts. When they still have their hair, in other words. So they don’t really have any idea what it will feel like to have no hair. And that is why so many people make beginners’ mistakes. 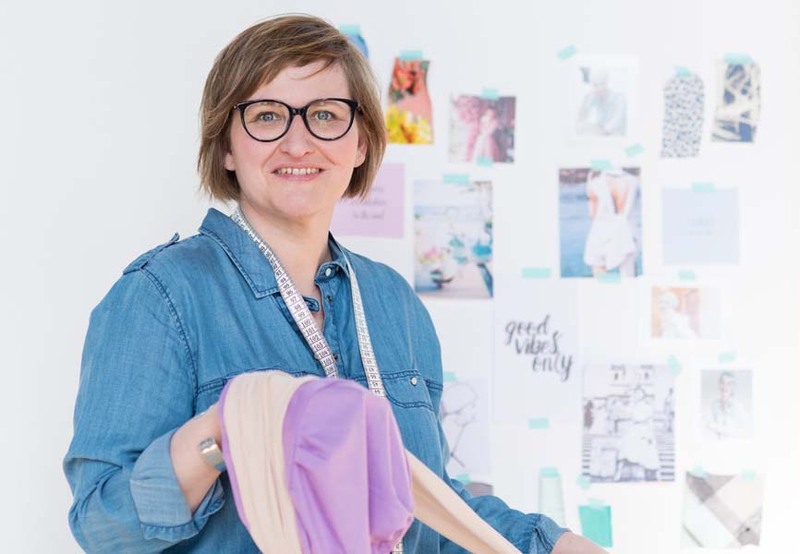 Wendy, our designer, made the same mistakes when she lost her hair due to chemo. She shares her experiences and gives you tips get things right from the start. The moral of the story is, pluck up the courage to buy special scarves and hats for chemo patients, even though you really don’t want to feel like a sick person. Luckily, there is a wide selection of cancer headwear available on the Internet and online shopping makes it feel less daunting. “Another disadvantage of my “ordinary shop hats” was that they were not made for a bald head. They had seams inside, which scraped my head and started to seriously irritate my scalp after a while. However, you need to do your best to avoid any form of irritation or small cuts during chemotherapy. Even the special chemo scarves which I started to buy after a while often were not soft enough. “Everyone kept on telling me that I should buy bamboo hats because bamboo is a very soft, natural and breathable fabric. True. But I soon realised that they also have a big disadvantage. Wear them often and they start to stretch, losing their shape. After washing them, the fit would usually be tighter, but only for a few days. Which is unfortunate, because bamboo hats are quite expensive. Silk also turned out to be a bad choice. Now and then I would tie a regular, oblong scarf around my head, but my nice silk scarves tended to slip off because they were so smooth. Conclusion: don’t be afraid to stop wearing the safe, simple colours you usually wear. Bright colours do wonders to brighten up your face – and your spirits! You will look better and feel more energised. If you prefer to wear simple basics, then cheer them up with the right earrings or a colourful scarf. Ready to select your chemo headwear? 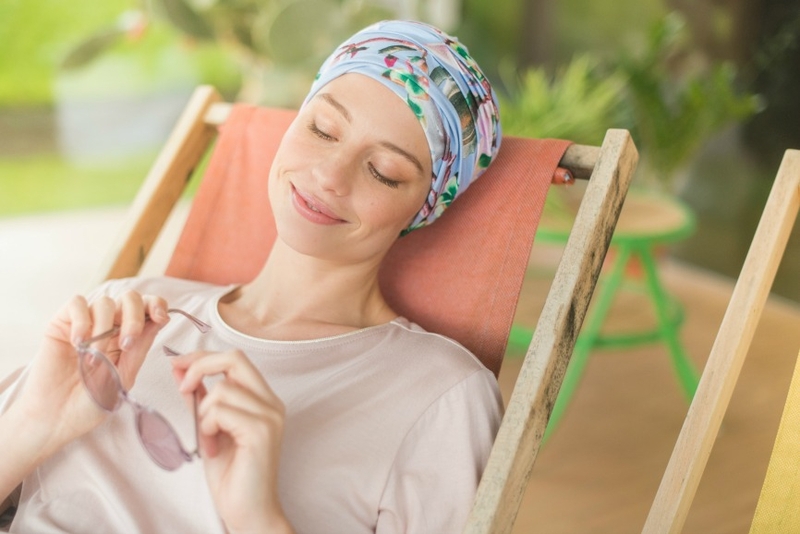 Browse trough our collection and pick your favourite chemo scarves, chemo hats, bandana's and sleep caps.